Episode #7 – Linda Jerome – True Inspirational Runner! How are you? And how is your running going so far in 2019? Good I hope! Well each and every day it is staying lighter longer and in just a few short weeks, the time will change and eventually spring will be in the air! From my neck of the woods, Maui, it appears this winter has been quite rough in many areas of the USA. Heck, we even had snow on our island. Yes, snow on Maui! So, hang tough a little longer! Linda Jerome is an everyday runner. She has not set a running world record, won a marathon, been featured on the cover of Runners World magazine or has 100,000 social media followers. 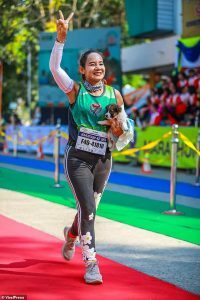 However, just like most of us everyday runners, she loves running and is winning in her daily life. 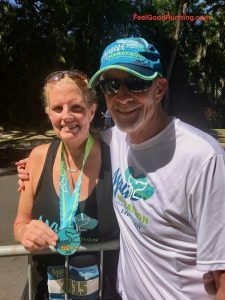 She did not start running until a few years ago when she turned 60! It’s stories like Linda’s that inspire me and motivates me to keep moving mile after mile. I am honored to have Linda as my guest for this episode and we had a wonderful conversation. 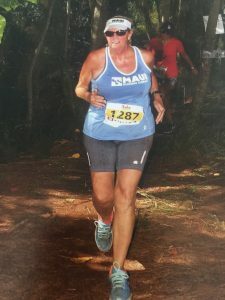 Though it was recorded in early 2018 when I was first developing the Feel Good Running podcast, it is very relevant and Linda continues on her running journey here on Maui day after day, mile after mile and step-by-step. She inspires many of us just by who she is and what she has accomplished and you will know exactly why when you hear our conversation. We all love her here on the island and so will you! And after you listen, click on Linda's Facebook Page and leave her a word of encouragement. If you have been listening, you know I love inspirational running stories. We all have our reasons why we run and our personal story is unique to ourselves. Since the show is growing, some of you have sent me your story and appreciate each of them. 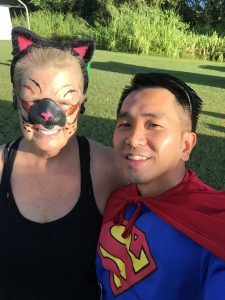 If you have a story you would like to share, go to the main page of feelgoodrunning.com. There is a place for you to share your story. Who knows, I may read it in a future episode and maybe even have you on as a guest. That said in this episode I read a very moving story from Katie Brotten from Seattle. Blown away is all I can say! There was incredible response received from Episode #6 and the subject of female running safety. With spring around the corner, this is such an important subject and your comments really touched me. Just on Maui this has already resulted in the organization of a women’s self defense class specifically focused on female running safety. Powerhouse Gym in Kihei, Maui will host a female self defense and running safety tips session on March 30th and will be taught by Tasha Ina Church, a certified self-defense instructor. And mark your calendar; I will have Tasha on as my guest in Episode #9 to be released on March 15, 2019. So listeners, I challenge you to organize a woman’s self defense class with running safety tips in your area. The prevention of just one attack or saving the life of one woman’s life as a result is more than worth it. Let’s get this started! And send me a note it you do set one up in your area! I would like to hear how it goes. During this episode I also reach out to you about my lack of experience with social media and the frustrations I am having trying to figure it out. Instagram seems to be the flavor of the month and I have no idea how to use it. So I am reaching out to you listeners for tips, suggestions and help on how I can learn and become proficient or at least pretend like I am. Can’t say I am the smartest tool in the toolbox when it comes to this stuff! Send me a Email to jim@feelgoodrunning.com with any HELP! There is much more including our running news segment. So enjoy this episode and share on social media and with all your running friends! Be sure you get on the Email list for our periodic newsletter! I appreciate each and every one of you that listen to my podcast! I really enjoying bring it to you hope I am making a difference in your running world! And as always...remember to just show up and always, ALWAYS feel good about YOUR running! Contact - Feel Good Running to get on the list for the periodic Newsletter! Boston Bulldogs- Runners World Article - (credit writer Ali Nolan) - Boston Bulldogs Website - Mike Ferullo, a former heroin addict, started the Boston Bulldogs running group to help recovering addicts to find purpose and motivation by running. Running Group Catching a Thief- Philly.Com Article - (credit writer Stephanie Farr) - Annenberg (Lunchtime) Running Group in Philadelphia catches a robber! 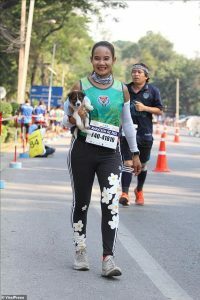 Khemjira Klongsanun - Article (credit writer Jane McGuire) - Khemjira carries a abandoned puppy 19 miles of a marathon, adopts it and names it Chombueng after the marathon. 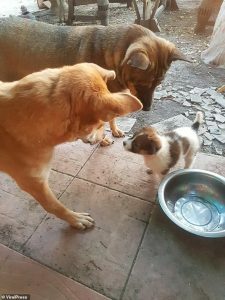 - Video - Khemjiri carrying Chombueng the puppy during the race! Linda’s Facebook Page – Please take a few minutes and leave Linda a nice encouraging message on her Facebook Page! So Feel Good runners...keep putting one foot in front of the other! You WILL eventually reach the end! Thanks for listening. Be sure to subscribe to the Feel Good Running on Apple Podcasts and please give us a nice rating and if you feel really motivated leave a review! Oh we are now on Spotify! Thank you for listening to my podcast. I'm a long time "Feel Good" runner myself completing 101 Marathons and a certified 50 State finisher having completed a marathon in all 50 states plus DC. 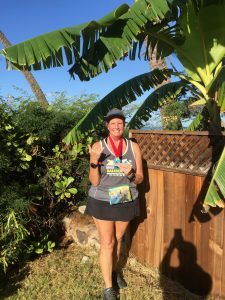 Additionally I am the Co-Race Director of the Maui Marathon, Vice President of the Valley Isle Road Runners on the island of Maui, a certified RRCA Running Coach and now venturing into the world of Podcasting. Running is my passion and has really defined my life. With all the support over the years I have personally received from volunteers from all the races I have done, I would like to give back. The "Feel Good Running" podcast is for the everyday runner. If you are a long time runner, fairly new to running or even just thinking about running, I hope to appeal to you and bring you inspiration and motivation with my guests and my many years of running experience. I hope to be one of your go to running podcasts for years to come. Thanks for this latest episode. It was particularly inspiring. 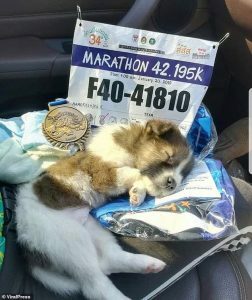 I am a long time runner but have never run a full marathon. I will turn 60 in May and have registered for my first. Coincidentally it’s the Burlington Vermont race mentioned in this podcast. I’m nervous and your podcast has helped me believe I can do this! Thank you for your comment. I am so excited for you to run your first marathon and I loved the Burlington race! Had so much fun. You can do this. Linda just finished another 5K race this past Saturday and she was beaming! Just believe in yourself Terry and put one foot in front of the other and you will get to the finish line. Please let me know how it goes. I believe that marathon is held labor day weekend. So I hope to hear from you the first week of June!